Today on the Packet Pushers Weekly Show: Using your network data. SNMP polling is great and all, but there’s so much more information you can get from the network. And there’s so much you can do with it. Think about not just gathering the data, but about software doing something with it, rather than expecting a human to make sense of it all. You know, actually useful insights, and not just screens full of scrolling charts and threshold alarms. Our sponsor today, Nokia Deepfield, is about making sense of data gathered from the network. 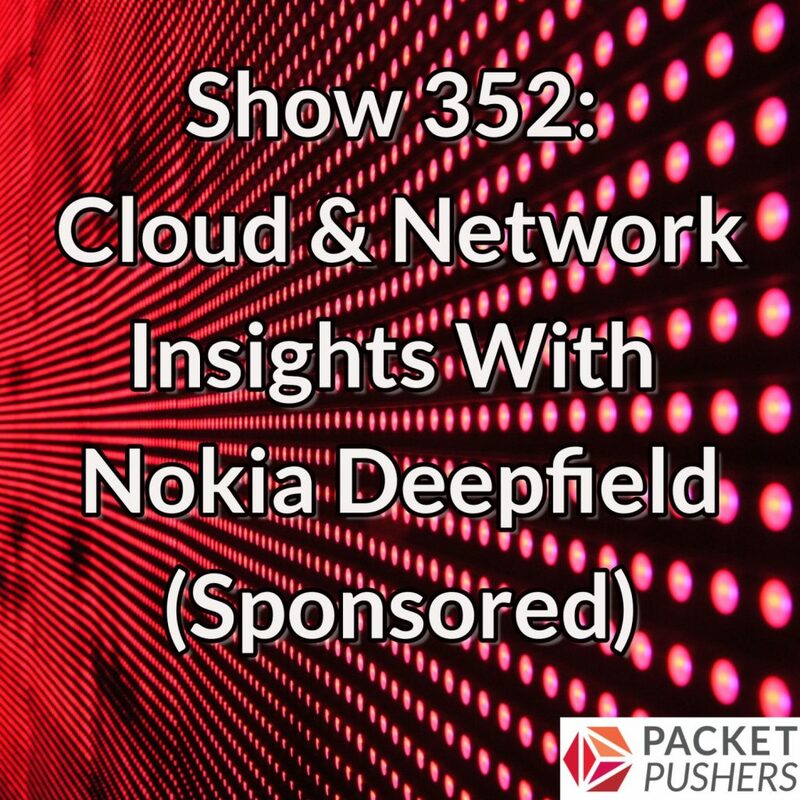 Craig Labovitz, General Manager for the Deepfield business line at Nokia, is with us today to explain what Nokia Deepfield gathers from the network, and then how they make that information actionable for managing IP networks in the age of cloud and IoT.